Dermatologists may be over prescribing antibiotics, which could be contributing to the rise of antibiotic resistant bacteria. The emergence of bacteria that can resist antibiotics has become one of the gravest modern medical threats. Such bacteria are essentially able to resist modern medicine, making them difficult, if not impossible to treat. Now, medical experts are warning that antibiotic prescriptions for acne could be contributing to the rise of antibiotic resistant bacteria. When common treatments, such as over-the-counter creams and washes, don’t work doctors term to a powerful medicine called isotretinoin, which is sold in the U.S. under the brand Accutane. Before acne sufferers are prescribed Accutane, however, they are prescribed antibiotics. Now, researchers are arguing that acne sufferers are being prescribed antibiotics for too long. Examining data for 137 patients from the New York University Langone Medical Center dermatology practice, researchers found that people were prescribed antibiotics for 11 months on average. 11 months far exceeds the current guidelines for prescribing antibiotics. In fact, this actually exceeds current recommendations near four times over, with current recommendations setting the limit at 3 months. Such over prescribing is important because it gives bacteria an opportunity to build up a resistance to the medications. In recent years, an increasing number of these resistant strains of bacteria have been cropping up. While dermatologists account for less than 1 percent of physicians in the United States, they account for 4.9 percent of annual antibiotic prescriptions. Isotretinoin is often avoided because it has serious side effects, ranging from dry skin to suicidal thoughts and birth defects. Still, the medicine is very effective at treating even the most severe cases of acne. Still, when it becomes obvious that other medications, such as antibiotics, won’t help, it may not make sense to delay prescribing isotretinoin. Unlike many diseases, antibiotic resistant bacteria is an especially grave problem for modern countries. The extended use of antibiotics makes it more likely that resistant strains will emerge, and with medicine more widely available in the United States, Europe, and other developed countries, this makes them more vulnerable. 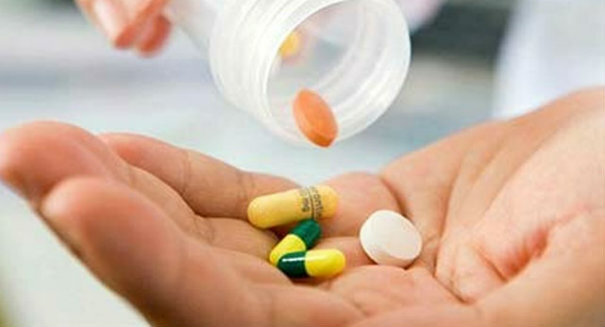 Each year, it is estimated that 23,000 people die due to antibiotic resistant bacteria. 2 million in total become ill. Further, major pharmaceutical companies are not dedicating as much effort to developing new antibiotics as these drugs are generally seen as less profitable. Combined, these developments could be creating a perfect storm.